Editor’s Note: There is another large scale purge of the more general red pill videos underway. Analysis of the New Zealand event is nearly impossible when the Orwellian kakistocracy is hauling people before courts for sharing the crime video. Therefore under these circumstances we feel it is important to review, educate and update prior events, and get some of our posts recycled before our site is taken down in the latest Orwellian purges. If we are removed, our material is backed up, and we will endeavor to post it under “Winter Watch II”. Unlike more botched deceptions of the last few years, I have had much more difficulty dissecting the haunting James Holmes “Batman” shooting. If it was a straight hoax as opposed to a hybrid or a false flag, the Crime Syndicate employed a well-executed scheme and utilized in Holmes a first-class actor (far more skillful then the B teamers of late). I am willing to entertain Holmes being a mind-controlled individual. The operators of this event seem to be a different A team crew, and best of class. Did one of the masters of this stagecraft retire, quit, or die after Aurora? I listened to several hours of the psychiatrist’s interview with Holmes, and did note a number of things that don’t add up. The Holmes trial was long and rather superficial, but certain evidence was introduced that was highly suspect. Most notable are the crime scene photos from the Arapaho County DA. There is no blood in the theater. The bullet trajectory angles shown don’t combine with the location of the “shooter” Holmes. The white markers are forensic tags, but as you will see in these photos, little sign of actual bullets. The fabric is pristine. There were allegedly 12 dead and 58 non-fatal wounded from gunfire at this scene. In fact, there are enough alleged bullets (see photo #4) in these photos that one would expect blood everywhere. Where is it? These are trial evidence photos, not media, meaning blood and carnage is not cleaned up or censored for the sensibilities of the viewer. Here is more cartoon world forensics showing exit hallway. Given Holmes firing position shown in second photo (as diagrammed by the DA), all these magic “bullets’ would have had to make a sharp angle turn and flatten trajectories to effect this pattern. See enlarged. Par for the course, there was no CCTV footage out of the very modern theater. None from the emergency exit, none from inside the screening room, none from the lobby, none from the parking lot and none from a cell-phone camera. There was no footage from the mall either. But here is the evidence photo of alleged bullet trajectories sprayed throughout. I would invite all readers to go through the crime scene photos. Second photo is a close up of shell casings marked on the floor, but where are the actual shells. Where is blood? If this was a trial photo would you as a jurist accept this as evidence of shell casings? Various other “evidence photos” released by DA. Winter Watch Takeway: If James Holmes was an actor, he is truly in a class of his own in terms of the staged deceptions. In this case I lean toward a mind controlled patsy similar to Sirhan Sirhan. But unlike Sirhan, Holmes is out of sight and locked away into the star chamber system. The scene in the theater itself is another poorly done and insulting staged deception. Holmes himself doesn’t remember a thing except an empty theater when he left. I live in NZ , been here 18 years.Long time Pru Bear and Winter Watch follower. This event does not add up to say the least. Having said that, I believe a good case could be made if charges are filed against someone downloading or sharing a video, that the one they are sharing is a computer generated fake since the real video would show bullet holes in walls, shell casings not only ejecting from a different area of the upper receiver, specifically the chamber, but those same shells hitting the ground. One could then seek discovery under the official information act to provide the real video coverage from the police as a part of their defense. keep in mind that we do not have a DA or Government Prosecutor. We operate under a Solicitor General . This means that the Crown pays a private law firm to prosecute the cases. This creates a problem in that further loose ends can surface, such as a rogue law clerk, when facts/evidence are expected to be challenged by the defense..Oh wait…He’s defending himself…Imagine that..He still would be entitled to Standby Counsel but I suspect that he will plead guilty and vanish. The issue I am wrestling with at this time are the motivations?? On 5 March John Podesta was visiting under the pretense of talking about election rigging by the Chinese for our 2020 election?? ?Thanks for the concern Johnny…. 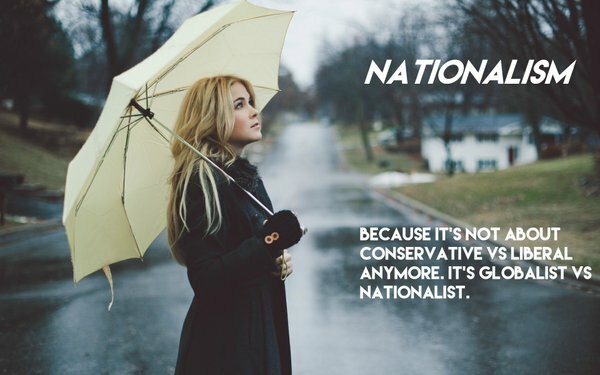 The country is hardly a “Rapefugee” mecca and the recent immigrant Muslims pretty much stay to themselves and enjoy a higher standard of living as Taxi Drivers and Dairy Operators. We don’t on the surface have an itching problem with them. The key issue with Christchurch is that it is the prime location for US Military Aircraft and a base for NOAH in relation to so called transport and logistics to Antarctica. This guy was later pronounced dead after 8 hours along with his wife having a heart attack??? Later that story vanished and he’s alive and safe. To add further insult to injury, New Zealanders as a whole are somewhat detached from the victims since most if not all are not related to them, and anyone can tell you, the South Island has about 2 degrees of separation while Auckland stands at about 4 or 5. Our PM then wore a Hajib when visiting Muslims after the event. You can imagine how angry the simple white Kiwi bloke has become as his identity appears to be diluted by such a display, After all, his binary thought process of Muslim Bad / America Good is challenged. Now add gun control to this and we become a powder keg of Nationalism ready to blow if/whena retaliatory attack were to hit??? Perhaps they should wait until we voluntarily turn in our weapons before they strike??? Long story short, I believe we are being used as a geopolitical pawn in the balance of power between China and the US in Oceania. The average gunshot victim requires 3.3 units of blood – this is almost 2 quarts. Thus there should be approximately 30 gallons of blood in the theater. Since no blood is visible, this was clearly a hoax, with the unfortunate Holmes the only victim. Of course, blood could be cleaned up off the floor — and one would expect that this would be done rather quickly. But what is glaring is that for all the bullet holes in the fabric seats, there’s not one visible stain of blood — let alone soda or candy. Really weird. Magic fabric? At a crime scene, nobody cleans up ANYTHING until all photography is complete. My “Lincoln-Douglas debate” at r/conspiracy. I am clovize. >quotes the other party. This is the mentality we are up against. I am mildly surprised to see they did a full cleanup job on the seats before doing the bullet tracing. But let’s not ask anyone with forensic experience if that is how it is done sometimes, it is more fun to not know. The floor is painted black in some parts, carpeted in others. Row 5 looks like the carpet has been removed, it would be too soaked with blood to be cleanable. Maybe the seats were getting too stinky and it wasn’t possible to separate off the aircon from the other theatres. There would be a lot of blood, it would start rotting quickly. For all the bullet holes (at implausible trajectory angles) in the fabric seats, there’s not one visible stain of blood or signs of tearing or fraying. Magic fabric? Look at the nice clean round exit hole from the steel pipe. I guess that means this is hard point not soft point bullets, so they won’t make much of a hole even if they have passed through a body unless they are tumbling. The question about the seats and floor being cleaned before bullet tracing was done should be directed to people who actually know about that stuff, or about this case. There are books written on crime scene analysis, you might find some info there. If it is not plausible for the seats and floor to have been cleaned at that stage, why do you think fakers would publish photos with without splashing some fake blood around? Do you think people put in charge of such a difficult operation would know even less about the subject than you? >should be directed to people who actually know about that stuff, or about this case. Appeal to authority, much? 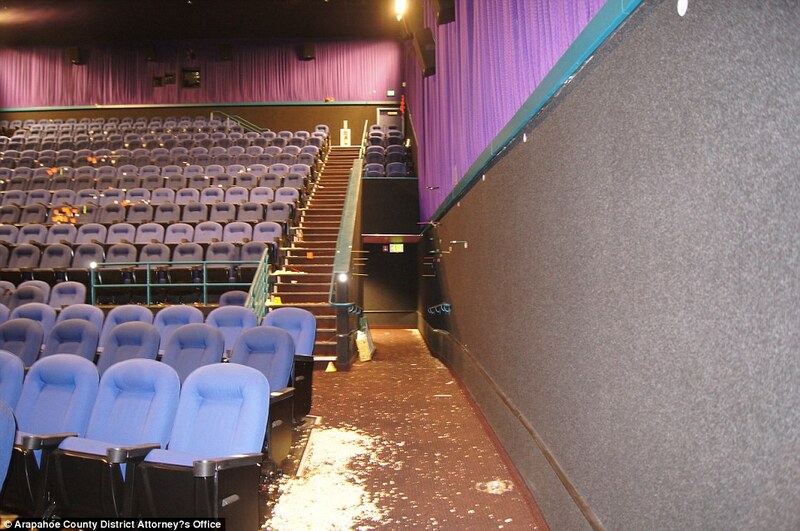 Ladies and gentlemen of the jury- these are the “crime scene” evidence photos, that we made “at a later date”, and after the theater was completely remodeled. >Do you think people put in charge of such a difficult operation would know even less about the subject than you? I see lots of mistakes in these operations. Some is just hubris- but I also think they do this deliberately to gauge public gullibility and what they can get away with. And apparently it works. @TheBulshitPoliceBlog, 12 dead and 58 injured, that about 230 units! Seventy people dead or wounded and not a drop of blood at the crime scene. Give me a break. My guess, one of the first FEMA Integrated Capstone Events. FEMA admits to using LARP’s and moulage at around the 9 minute mark in this video.